The US firmly stands on the position of returning the annexed Crimea to Ukraine. 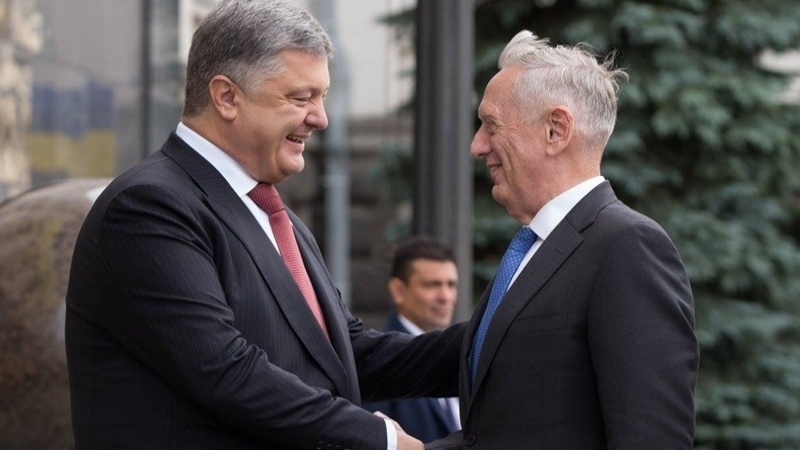 Negotiations of Ukrainian President Petro Poroshenko with US Secretary of Defense James Mattis would be incomplete without discussion of the annexation of the Crimea, Poroshenko said during the press conference on the results of a conversation with the Head of the Pentagon, a QHA correspondent reports. “Of course, consideration of Russian aggression against Ukraine would be incomplete if we did not touch on the issue of Crimea today. I am grateful to the Minister for his clear and unswerving position on this issue: the Crimea was, is and will be Ukrainian. It belongs to Ukraine and must be returned to it. There is no other way to stop the process of turning the peninsula into a territory of lack of freedom and a military base," he said. “This is a confirmation that the US is ready to take the lead on the transatlantic front. We hope that the Kremlin will hear the world public and stop its hybrid provocations to destabilize peace and security," he said. However, sanctions are not an end in themselves, the President added. This is just an instrument that should make Russia sit down at the negotiating table.